Uniscore: How unique is your screen hit? Which kind of screen are you interested in? 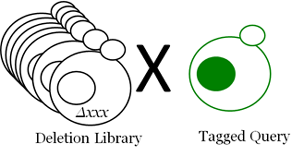 A fluorophore-tagged library (e.g. 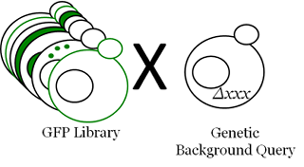 the GFP library), under a specific genetic background (e.g. deletion of a gene) or growth condition (e.g. media). In this case, your "hits" are the proteins that changed localization or abundance under the tested conditions. An altered-expression library (e.g. the deletion library, over-expression library etc. ), looking at a specific effect (e.g. growth rate, drug resistance, localization of a query protein etc. ).In this case, your "hits" are the genes whose altered expression (e.g. deletion, over-expression etc.) affected the tested phenotype of the cell.